Here it is — the new trailer that Warner Brothers and DC Films showed at Comic-Con. Many clues are here, and proof that this Zack Snyder/Joss Whedon collaboration (90% Snyder?) has gotten somewhat of a message from audience responses. Lead with Wonder Woman. They learned that much. Drop hints, but don’t make them the focus. We see Steppenwolf. We hear him promise to Darkseid (?) that this world will fall, because there are no protectors — no Lanterns, and no Kryptonian. 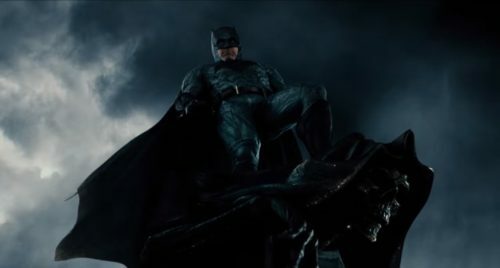 But there’s a flash of red boot and cape that could be Batman in reverie, but could also be that of course Superman will rise. And there’s Ezra Miller’s take on the Flash, more comic relief and more like Bart Allen than Barry Allen, but we’ll get back to that. As a result of the panel, we know a few more things as well. Contrary to rumor that keeps cropping up, Ben Affleck claims that he is staying on as Batman. 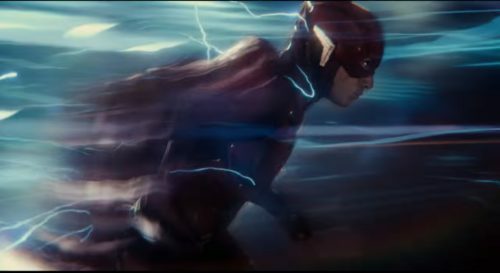 However, the solo film for the Flash has been pushed back to 2020, and it’s titled Flashpoint, a title that for DC fans means Barry Allen (Miller) will go back in time to prevent his mother’s murder, and then changes… everything. It’s also been adapted into animation as The Flashpoint Paradox, as well as formed the spine of Season 3 of the CW’s The Flash. Using that title could imply that after DC Films goes through this cycle, everything can be reset vaguely within a film continuity. And Affleck could still diplomatically step aside for a different Bruce Wayne. It’s almost so clever you’d think that Warner Brothers planned it that way. Also as rumored, Green Lantern will feature both Hal Jordan and John Stewart as the leads, but no casting was announced. 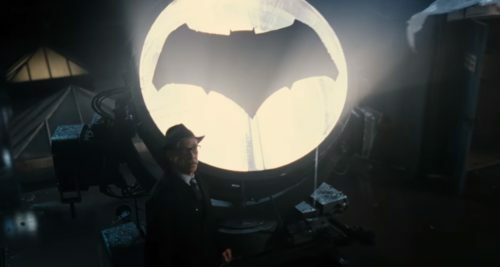 If you’ve watched the trailer above, you may also suspect that the Lanterns could come into play sooner than we thought. Not firmly on the schedule but rumored for 2019 alongside The Batman, Warner Brothers announced that Joss Whedon’s Batgirl will also feature Robin. The studio also chose to announce that they actually do like making money, and confirmed that Wonder Woman 2 is moving ahead, though also not firmly scheduled. We have to get through Justice League, then Aquaman. And really, it was announcing an ambitious five year plan in the first place that kind of got them into this mess, so I’d rather not have it all locked into place in case something goes off the rails… like The Flash. 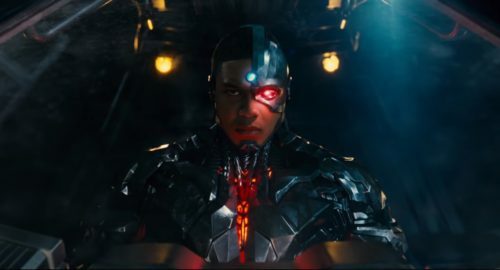 Oddly enough, it also sounds like the second Justice League movie is in limbo, and there wasn’t any talk of Cyborg. Should there be? It sounds like at the panel Jason Momoa is taking on the “designated hypester” role that once belonged to Ryan Reynolds before Green Lantern failed to spark. 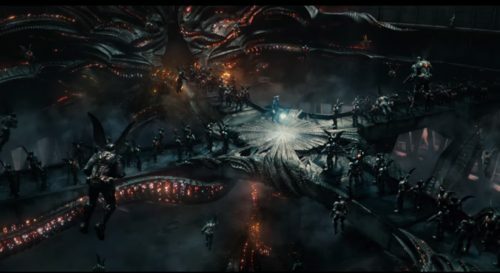 Someone has to hold their own against Robert Downey, Jr. Momoa confirmed for the crowd that the big villain of Aquaman will be Ocean Master, played by Patrick Wilson, but that isn’t really a surprise. Other non-surprising news: DC Films did officially announce Shazam! and that Dark Justice, featuring Constantine, Zatanna, the Demon, and Swamp Thing, is back in play.